With the FIFA World Cup just days away, I have been chatting with people on my travels to gauge their opinions about Russia being the host. Several people have simply sighed, resigned to the fact that FIFA politics won the day. One Prague taxi driver, remembering the Soviet-led invasion of his country in 1968, hated the idea, but another Czech shrugged and said that most people, especially those too young to remember the Communist rule, would just focus on the football. Indeed, many football fans will be thinking only of that when the tournament kicks off on Thursday. But it’s also worth reflecting on Russia and the ethics of selecting hosts for major events in today’s commercially driven and politicised sports world. Every time there is a contest to host a World Cup or Olympics, debate ensues about the criteria for selection. These include technical matters like the economic and infrastructural capacity to stage a massive spectacle and an overarching belief in spreading the sport to new corners of the world. Russia, of course, has furiously denied everything, making much-outraged noise while pointing out the hypocrisy of its most vocal detractors. The latter reaction has some legitimacy – Russia does not have a monopoly on external aggression, calculated corruption and internal repression. Reformist proposals like these are gaining traction as part of widespread push-back against the excessive demands and massive costs of hosting mega sporting events. The questions posed by Russia’s winning bid should only add to the calls for change. 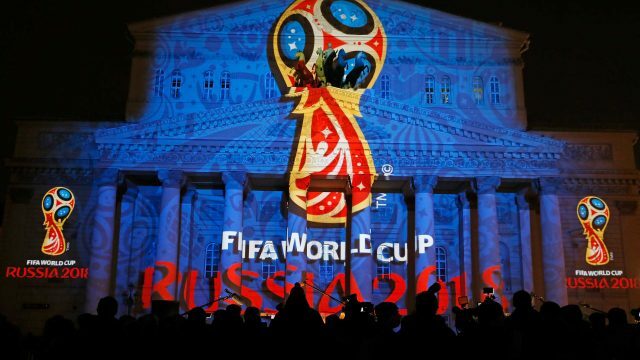 It’s expected that over 3 billion people will catch this year’s World Cup over the next month. Let’s hope they look beyond the spectacle to ponder how the beautiful game made its way to modern Russia, and whether it was worth the ethical price. David Rowe is the Emeritus Professor of Cultural Research in the Institute for Culture and Society at Western Sydney University, Australia, and Honorary Professor in the Faculty of Humanities and Social Sciences, University of Bath, UK. He was Director of the Institute’s earlier incarnation, the Centre for Cultural Research, between 2006 and 2009. Previously, he was Professor of Media and Cultural Studies and Director of the Cultural Institutions and Practices Research Centre at The University of Newcastle, Australia.